These gluten free, dairy free, egg free almond cookies are chewy and delicious. So much flavor in every bite, you won’t believe how good they are! 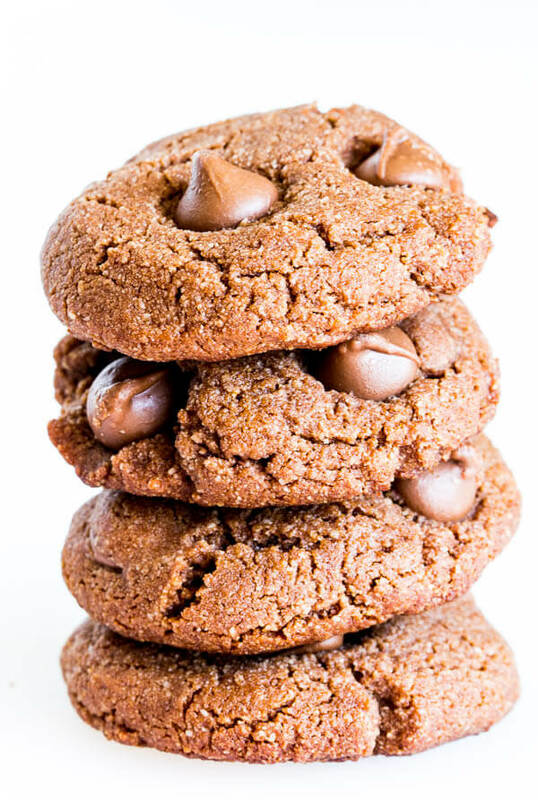 Plus, these paleo cookies are unbelievably easy to make. Seriously, these almond cookies are magic! They don’t take much time to make, require only handful of ingredients and one bowl, and make you feel good eating them! If that’s not magic, I don’t know what is. I’ll take guilt-free cookies any day, especially if they taste like heaven. Yeah, this isn’t a new recipe. I first shared it back in January, 2014, and it’s been my go-to cookie recipe since then. Also, they get ton of rave reviews from readers all the time! And because I couldn’t get enough of these cookies last month, I decided it was time to update the photos and add a video to show you just how easy it is to make them. Oh and Grant LOVES these cookies. And I feel good feeding it to him, because it’s not loaded with processed sugar, butter and all. 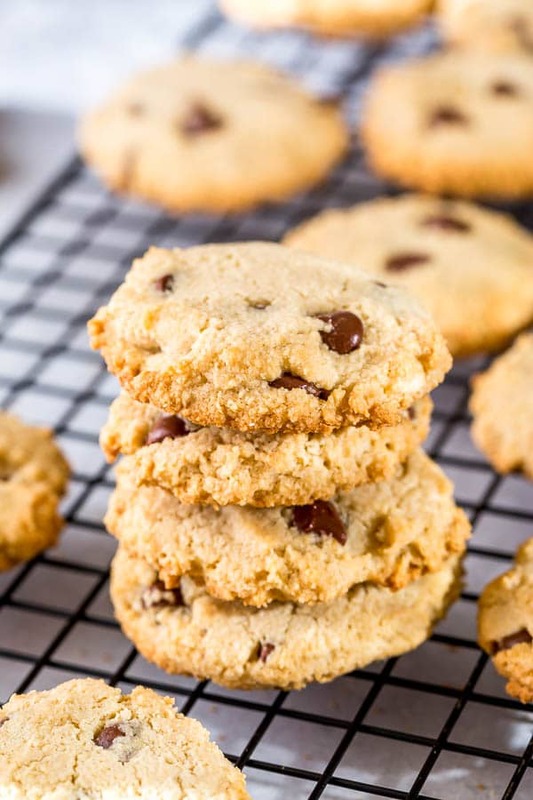 Not only are these gluten free cookies are delicious, they’re soooo EASY to make. ( <- Did I mention that already?) You just need one bowl to mix everything in, which literally takes less than 10 minutes. 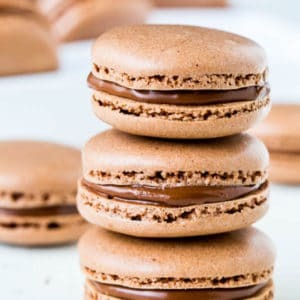 TIP: I noticed that depending on the ingredients (kind of honey, or maple syrup, or almond flour, etc) you use, the batter can vary in texture a little bit. Say if your batter is a bit on dry side, feel free to add a little bit more honey, or coconut oil to moisten it. This cookie batter is quite forgiving. Yep, no chilling required! Which is also an important point, because, you know, when cookie craving hits, you need it pronto. Am I right? And for variation, you can add chocolate chips, coconut flakes, or quick oats. I’ve seen comments from readers that raisins are great addition too! I personally love coconut flakes because it adds more chewiness. All in all, you’re going to LOVE these paleo cookies. Optional Add-ins: ½ cup semi-sweet chocolate chips, coconut flakes, or quick oats. In a large bowl, mix together all the ingredients, except optional add-ins. The mixture should be thick and evenly moistened. If you think your batter is too crumbly, feel free to add a little bit more honey or coconut oil. The batter is quite forgiving. If using, stir in optional add-ins like chocolate chips. 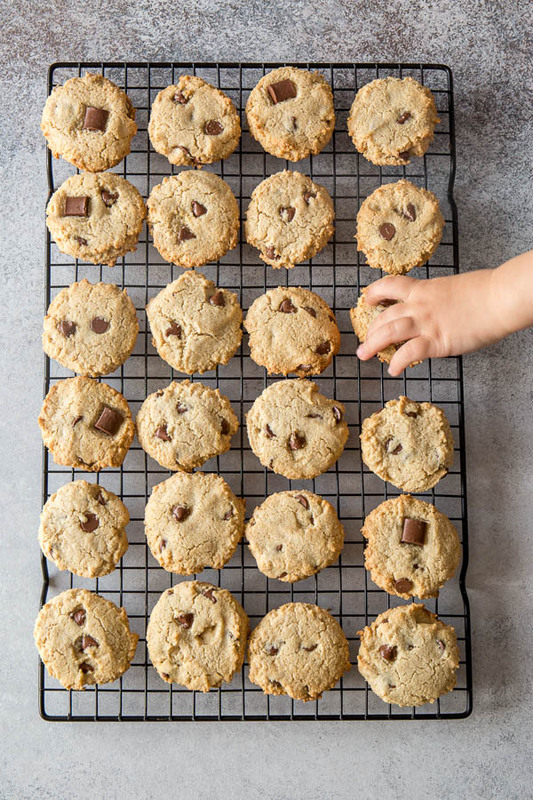 Using a medium cookie scoop, shape the dough into 16 1-inch balls and place 8 cookies per baking sheet lined with parchment paper, or silicone mat. Flatten the cookie dough balls. Bake for 8-10 minutes, or until golden brown. The cookies will be quite fragile as they come out of the oven, so cool for about 5 minutes on the baking sheets first, and then transfer onto wire rack to cool completely. Nutritional information doesn’t include the optional add-ins. This recipe was originally published on January 22, 2014. Hi, Carrie. Unfortunately, I have no experience with oat flour and never tested this recipe with oat flour, so no advice. OMG These are the best cookies I’ve ever made. They have just the right texture (soft) and taste (yum) that I love in my cookies. Thanks for this recipe. My second batch I added chopped walnuts, chopped cashews, pumpkin seeds and raisins. Absolutely amazing. My new go to recipe. Who am I kidding? I’ll never make anything else. Rickey, I’m happy to hear you found this recipe and loved the result. Thank you for sharing your feedback. I’ve made these twice now: first time I sed chips and neglected to put them in an airtight container in the fridge. The next morning they were soggy soft but still delicious. The second time I made them with almond flavoring and vanilla and left out the chips. SO GOOD!! Zoe’s Kitchen make an amazing lemon cookie and the texture of these almond cookies reminds me of them. So I’m going to try making them with lemon zest and a little lemon juice next. Love this recipe, as it is also GAPS legal after Stage 5. Hi! Absolutely LOVED this recipe. I ended up making some with chips, some with peanut butter, and some with oatmeal and raisins!! Soooo good! Just wondering how long these last in the fridge? And if they are freezer safe?Thanks for the lovely recipe! Hi, Allison. Sorry for delayed response. I think the cookies should be good in the fridge for up to 5 days, but mine never lasted that long. And yes, you can freeze these as well. I added sugar free chocolate chips chips and they are delicious!!! My 8 year old son loves them too! Wow!!! Been gluten free for 3 yrs and this is the best cookie recipe I have ever tasted. My gluten/sugar eating husband loves them. Thanks now I have a little treat I can grab, if they last that long. Wow, this’s quite a compliment, Vickie. Thank you for your feedback!! Easy to make and great taste. I added both coconut and chips. Loved them. This recipe is SO good!! I’ve been searching high and low for a gluten free, dairy free cookie and this one takes the cake. I used Trader Joe’s Almond Meal vs flour and maple syrup as the sweetener. I also added both almond and vanilla extract. They took longer to cook…around 12 min. But wow! The texture, the flavor! Wow. Thank you!! OH my gosh! I was looking for a recipe that didn’t involve a lot of fuss or sweetners that I didn’t have on hand. Honey is the sweetner and it is sooo good! I got 26 cookies and added a little not sweetened coconut flakes. I can’t wait for them to cool completely. The warm cookie is delicious! Rhonda, so glad you gave this recipe a try. 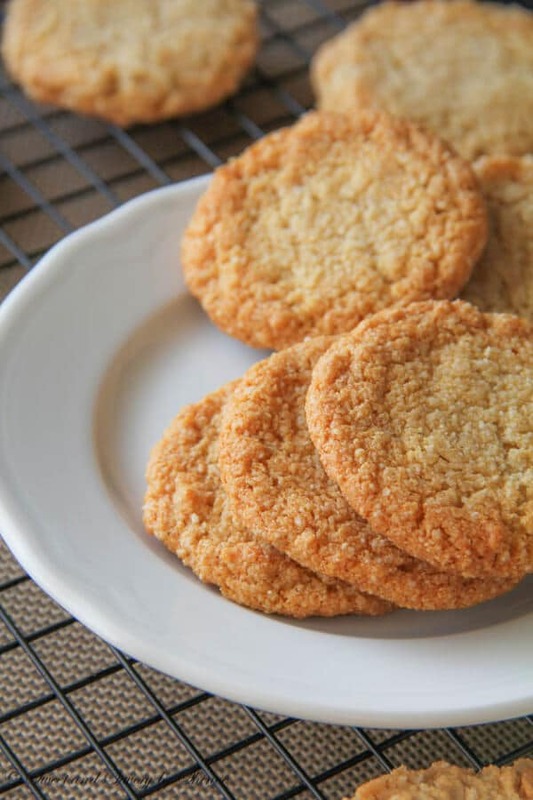 It’s our favorite cookie recipe, because it’s soo easy. 🙂 Thank you for your feedback! These cookies won’t last long in my house! Love that these are allergy free! Thanks, Val, for your feedback. Glad you liked them! No flavour and dry. Will not be making these again! Sorry to hear you didn’t like the cookie, Kathy. Hope you’ll find the one you like. HB, so so glad you tried this recipe. It’s my favorite cookies. Thank you for your feedback and sharing your experience. 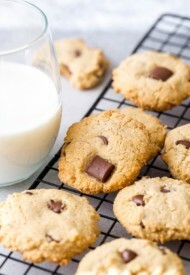 great cookies love it I dit make two times at week. Awesome, Viviana. So glad to hear you made and loved the cookies!! Thanks for your feedback! Great to hear you loved these cookies, Terry. Thanks for your feedback! These are amazing finally a cookie i can eat. Do you know the calorie content ? Hi, Heather! So glad to hear you loved the cookies. I just updated the recipe with nutritional information. Best cookies yet. Super easy and totally yummy. This one is certainly a keeper in my house. Yay, SO happy you loved these, Christiane! Thank you for your feedback! Hi, Susan. I’ve never tried this recipe with coconut flour, and I have no experience baking with coconut flour. But I think someone commented that coconut flour has different absorption and it may require some tweaking. These cookies are the bomb!!!!! Only thing i did was add dark chocolate chips!!!! Omg it hit the spot!!! Thank you so much!!! Bye bye chips ahoy!!!!! Yay, so happy you tried these cookies, Ladi! It’s my favorite choc chip cookies that I feel good about eating. 😉 Thank you for your feedback. Oh lordy…these pose a huge problem. I made them yesterday and produced about 14 cookies. They were gone by the time we went to bed. Hubby asked me to make them again today. Another 14 gone in about an hour. So good! Thanks for sharing the recipe. Yesterday I misread the recipe and used 4 TBSP instead of 4 tsp of coconut oil. No one seemed to mind. I course corrected today and added about 5 tsp of coconut oil and no one minded. Such a forgiving recipe! Hi, Deborah! Hope the cookies turned out good for you. I love making these cookies with maple syrup, and hope you did too. And I’d love to hear your feedback if you tried with agave nectar, as I never tried that before. I’m definitely going to make them though and I’ll be sure to let you know how it goes! Sounds good. Thanks, Deborah. Looking forward to your feedback. Quick question… Do you use almond meal that’s leftover from almond milk? I just made these and they are fantastic! I did add a 1/2 teaspoon of almond extract too. Instead of scooping them, I used a teaspoon and rolled them in my hands. I baked them just like that. They came out so good! Thanks for the fabulous recipe. Hi, Sue. So happy to hear you loved the recipe. Thank you for your feedback! This is a perfect base recipe, one I’ve been searching for all over! First time baking them I made a dark chocolate ganache and drizzled it over the top. Next time I might top with orange zest and sliced almonds. So many ways to change up the flavors here. Thank you so much for sharing! I did have to bake a little longer but I have a convection oven so that makes a difference. Maggie, so happy you tried this recipe! You’re right, it’s perfect base recipe and you can play around with different flavors! Orange zest sounds so good too. Thank you for your feedback! I just made these..very tasty! I would love to have a slightly more toasted almond flavour…but I didn’t want to overbake them. Can they handle more than 10minutes baking time? Loved how simple the ingredients were. Will make these again. Hi there! Yes, you can bake longer if you want to, just keep an eye on them so they don’t burn. Thank you for your feedback. So glad you made and loved them! I wonder what would happen if you toasted the almond meal in a dry skillet before combining ingredients. You may get the flavor you’re looking for. Hi, Nick. That sounds like a great idea and it might actually add more toasted flavor. Thank you for chiming in! So easy and delicious! Thanks for sharing this recipe. Lovely chewy texture. Do you know if these would freeze ok? Hi, Em. So glad you loved the cookies. Yes, these cookies freeze beautifully! These cookies have become our favorites! Why do you recommend they be placed in the fridge for storage however. I personally do not like putting them in the fridge. I feel like it changes texture and taste. Hey, Teresa. Good note, I’ve noticed that sometimes depending on the type of honey I use, some cookies need to be refrigerated, or they get kind of soft. But I haven’t had that happen for a while now. And I store mine in a cookie jar just fine too. So I did half a recipe because I had a late night craving and didn’t want to go crazy. But I added a TBSP of peanut butter and chocolate chips. SOOOOO good! !I would make these over normal cookies any day. Hi, Maribeth! So happy to hear your loved these cookies, and I love your PB addition! And I agree I tend to make these cookies way more often than the traditional ones because it’s just so easy, and tasty! Thank you for your feedback. These are by far the worst cookies I have ever made! Dry, crumbly, no flavor. Hard pucks of tasteless almond flour. I followed the recipe precisely by weight and knew before I baked them there was not nearly enough wet ingredients, but went by the recipe! Most who gave a favorable review did so after adding wet ingredients!I did add 1/2 cup coconut flakes (as recommended). Hi, Robert. Sorry to hear you didn’t like the cookies, but I appreciate your feedback. I too go by weight, because it’s much simpler that way, and never had issue with dry mixture. 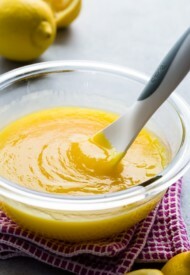 But the recipe is quite forgiving, you can add a little extra coconut oil, or honey to bring to the desired consistency. Hands down, the best cookies I have ever made. 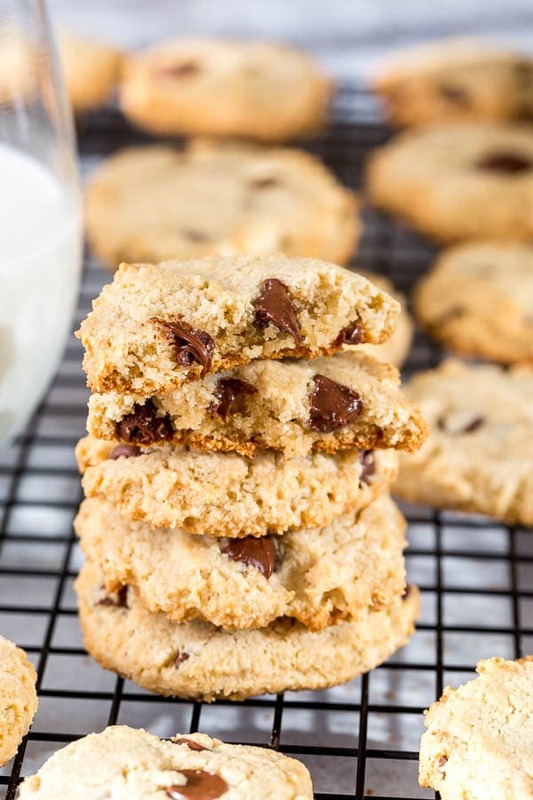 From paleo to gluten free, to keto- you name it- these cookies hit the spot. they are incredibly chewy, soft and full of flavor. And you’re right, the batter is very forgiving, you can’t go wrong! Tiana, I’m so glad to hear you loved the cookies!! And thank you so much for your feedback! Ah, so happy to hear your family is loving these cookies. They’re our favorite as well. Thank you for your feedback, Celia! These sound delicious, I can’t wait to try! Thanks, Caitlin. Let me know how it turns out, if you try it. W.O.W. these were so so good. I tried it the first time with unsweetened apple sauce (didn’t have honey) and using tablespoons of coconut oil (I read it wrong). It came out delicious even though it crumbles, but when it cools off completely and stays in the fridge, it stays together. 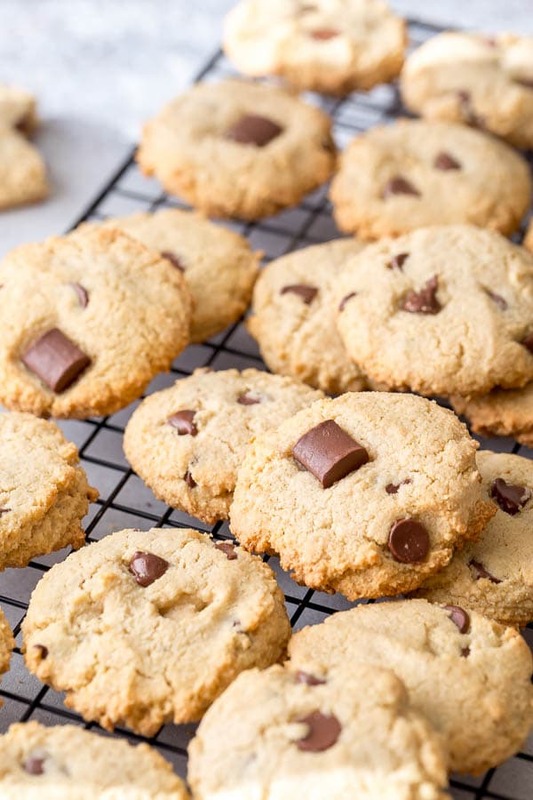 However, this time I followed your recipe but only put 5 tablespoons on honey and 2 extra teaspoons of coconut oil, and also mint chocolate chips (probably 1/3 cup is plenty) – and that honey, I think – mmmm makes the cookie so super dangerously chewy and goooood. 🙂 Thank you!! I don’t even usually comment on recipes, but this IS (soon to be “was” with my speed eating, and also my girls are eating them way too fast) really really good. Yay, so glad you tried and loved these almond cookies, Yuwie!! Thank you so much for your feedback! BEST. RECIPE. EVER. We eat SCD for my son, and these are AMAZING!!!!!!! Thank you!!!!! Hi good day shinee my cookies came out great and yes i did used canola oil did not had coconut oil . Hi, Christine! So glad you enjoyed the cookies. But no, I don’t have a healthy donut recipe on my blog. Awesome. So glad you’re loving the cookies. And thanks for your feedback, Caroline! Just got my Bob’s Redmill almond flour in the mail today and tried this recipie immediately and I am sooooo pleased with the way these taste. Mine were not as pretty as yours but I could care less about that. They have a buttery taste, which I’m assuming is due to the almonds. My problem is sweets and these cookies definitely take care of me and my daughter’s sweet tooth! Thank you for aiding us in our journey to better health! I feel pretty good about the future of my waistline. Ow! WOW! These are delicious. I changed the recipe to 4 tbls honey and added cocoa nibs. They’re PERFECT. Awesome, so glad you enjoyed the cookies, Kristin. When you reduced honey amount, was the batter too crumbly? I just made these and they were wonderful! I used natural, unsweetened applesauce instead of honey and also added cinnamon. They came out so buttery! Thank you! Is there a way to make almond flour? I have natural almonds, so can I just grind them to make almond flour or do I have to buy it? Hi, Sarah. You can definitely make your own almond flour. Just make it nice and fine. Hope you enjoy the cookies! These cookies were delicious! I halved the recipe because I wasn’t sure if anyone would like them, but everyone in my family loved them (which is pretty unusual). Thanks again! I made these for the first time tonight, but my mixture wasnt thick it was crumbly. Wondering if there are different types of almond flour. Look good, they are cooling and I cant wait to try them! Hmm, how did you measure almond flour? If you scooped it, maybe accidentally added a bit much? But the batter here is very forgiving, you can easily add a little bit more coconut oil, or honey to adjust the consistency. Hope you liked the cookies though. Yes, it is! Thanks, Heather! I also used homemade almond flour.. Can this be the case. It might be. I never used homemade almond flour, so really can’t say much about it. How fine do you make your almond flour? Mine is pretty fine. And since adding more honey doesn’t help, to me it sounds like your almond flour texture might be too coarse? Maybe you could try to process the almonds a bit longer to get the finer texture? Hope this helps, Xio. I makde these with almond meal because I couldn’t find almond flour. They do have too cook longer but everyone who tastes them loves them so much that we just keep making them with the almond meal. Someday we will try the flour. Sarah, so glad to hear you’re loving the cookies. And thanks for sharing your experience with almond meal, glad it works. Debby, I don’t know how to calculate that info. Sorry. Hi, Bob! Sure, you can e-mail me the photo. I’m sorry yours didn’t turn out good. Maybe it’s due to your homemade almond flour? I’ve never made it the way you described, but my guess is that maybe the almond pulp you’ve dried is different from regular almond flour? To make almond flour at home, I just grind it in the food processor. I’d suggest trying with regular almond flour next time though. Oh my gosh I just made these and not only are they healthy, they are delicious and easy to make!I added some rolled oats and raisins.My husband, who is a cookie fanatic, said, “we should have these all the time!”Thanks for the recipe! I’ve made these 3 times already and they come out amazing! I’m wondering if it would come out good using maple syrup instead of honey for a change. Any success trying that? I used maple syrup and it was so delicious!! I prefer the maple over honey in cookies. The warmth of the maple compliments the almonds quite a bit. I also added 1/2 tsp of almond extract and did 4T of coconut oil. Made for a perfect almond cookie. Hi, Val! Sorry you’re disappointed. Before adding an egg, I’d try adding a bit more coconut oil and/or honey. I make these pretty much every other week and it always works. The dough is definitely not very wet, but it does stick together to form a ball. Hope this helps. Aww, Aleut. It’s so great to hear you love these cookies. I love all the variations you’ve tried too. I’m so trying the jam on top next time. Thanks so much for sharing your feedback. Enjoy the cookies! So I made these to the recipe exactly, but mine didn’t flatten like yours look in the picture. Any ideas why?? Hi, Deanna. Did you flatten the cookie balls before baking? These cookies don’t spread too much, so you need to flatten them before baking. Hope this helps. these are awesome cookies. I used almond meal cause that’s all i had and they turned out great. I will definitely be making these again. So easy, thanks!!! Yay, Colleen! I’m so happy you loved these cookies. Almond meal and almond flour are the same, just different name, so you did everything just right. 😉 Thanks for your feedback. Hi, Carly! Thanks for sharing that info. Good to know! I always thought it was British vs American terminologies. I just made these using almond meal from Trader Joe’s. They turned out great! The dough is delicious too and no worries because no eggs! I added a little bit of almond extract but otherwise followed the recipe. They are super yummy! Thanks for the recipe! Hi I was just wondering if anyone has figured out the calorie count in the regular plain almond cookie? Kayla, I’m sure you can use any calorie calculator online by copy-and-pasting the ingredients. Made these twice. First time i used the pulp left over from making almond milk (dried in oven and then ground). Second time almond meal. I added ground unsweetened coconut and grated semi-sweet baking chocolate. Used less honey. Used canola oil first time and peanut oil drained from a new jar of peanut butter the second time. Both were totally delicious. Great that they don’t have the usual unhealthy cookie stuff, like butter, refined sugar and white flour. Thanks Shinee, I will look for the almond flour so I can try. I love almond cookies but if I do not have almond flour, can I use un leached white flour and almond essence? I’m afraid the cookies won’t be the same. The texture and everything will be different. Sorry, Ann. Delicious! I added an egg. These turned out soft and chewy, mmmmm!!!!! These cookies are absolutely delicious! At first when I saw 6Tbsp of honey, I was a bit worry about the cookies being too sweet, but it turned out perfectly. It is not too sweet and just enough. It is also healthy. Thank you for sharing the recipe. Have u ever made these plain without any additives? Meaning no coconut oats or chips? Hi, Karen. Yes, I have made plain almond cookies. The first 2 photos on this post are actually the plain ones. They’re pretty good! You have an almond tree?? Gosh, how awesome is that!! Hope you give this a try, Deborah. Thanks for stopping by. Very tasty. No one would ever guess they don’t have any eggs or butter. Next time I will add some walnuts and chocolate chips. Glad you loved the cookies, Ivette! Walnuts and chocolate chips are great addition! Thank you for your feedback! Him: (surprised) These are really good! Him: No, they don’t. They’re not, like, my favorite cookie EVER, but they are definitely better than most healthy cookies. Him, a few minutes later: I can taste the butter. This is my new favorite cookie recipe! I followed the recipe exactly only I halved it, and they came out great. I thought they were just as delicious as any “regular” unhealthy cookie I’ve ever eaten. I did add some unsweetened coconut and thought it was a great addition. Mine spread a bit more than yours, but they were still plenty chewy so that was fine with me. Also, mine were done after 8 minutes, not 10. I will definitely be making these again, and probably adding chocolate chips in the future! Chocolate chips would be perfect too. I’m so happy you agree that these are just as delicious as regular cookies. They are my favorite! Is it possible to substitute coconut oil with other type of oil, say sunflower or canola oil? Would there be any change to the texture? Hi, Elaine. I don’t there will be any change in texture, but I suspect they might turn out a bit greasy. But I never tested the recipe with any other oils, but coconut oil. So I can’t say for certainty. Do you know how many calories are in a cookie? Lisa, I just checked it with my nutrition label generator and it looks like it’s about 108cals per cookie. Jill, I just realized that I made a mistake on my recipe here! It’s actually 4 teaspoons of coconut oil, not tablespoons. I had to compare it to my hand written recipe line by line to catch that. I just updated the recipe and added the weight measurements as well. Thanks so much for your comment! I had the same runny problem. Your cookies look delicious, mine not so much. 🙁 Did you ever try to recreate the problem or have any suggestions? They still tast fantastic! Oh no, Jill, sorry to hear that. I’m still trying to recreate the problem, but due to lack of details, I can’t recreate it. I’m planning to update the recipe with weight measurements, maybe that will help with the problem. If you have any details you could provide, it might help too. Hi… Was wondering if I could use normal runny honey instead of raw honey as I don’t have any raw honey at home? These are a weekly staple in our home now. By far the best cookie recipe of all. I try to bake all paleo now and I just cant live without these cookies. thank you for sharing this. I’m so happy to hear that, Cindy! One of my favorites too! Thanks for your feedback. Have you ever tried this recipe with peanut butter? If so, how much would you suggest using? Angela, I didn’t try peanut butter in this recipe, and I wouldn’t suggest it. Melanie, I never used stevia, so I can’t advise. Sorry. Oh no, I’m so sorry the cookies didn’t turn out for you, Mallory. I’m currently on vacation, out of country. I’m planning to try to recreate the problem upon my return. If you could share any details of your process, it’d be very helpful to identify the issue. When I posted this recipe, I’ve tested it many times with many variations, but never had the spreading issue that some of my readers experienced. So I really would like to recreate this problem in my kitchen to help to avoid it in the future. Thank you for stopping by and leaving your feedback, Mallory. It means a lot to me. Mallory, I just wanted to give you an update on this. I just realized I made a terrible mistake when I typed my recipe here. It should have been 4 teaspoons of coconut oil, not tablespoons, which explains why the cookie dough was getting too runny. I sincerely apologize for my mistake. Hope you give it another try. I’m glad you enjoyed the cookies! Thank you, Patricia! Made these yesterday afternoon-exactly as the recipe reads. The dough was too wet. I chilled in the fridge, but they just came out very flat (spread a lot). If that happens again, should I just sprinkle in some more almond flour? Hmm, that’s pretty weird. The batter is usually pretty thick. Yeah, I’d add a bit more almond flour if it’s too wet. Hi. This looked so good and I am looking for a healthy way to bake. I tired your recipe swapping out almond flour for coconut flour as coconut flour was all I had. They came out really dry and fragile. Could you advise? I would love to try them again. Thank you. Hi, Teana. I’ve never baked with coconut flour, so I won’t be able to advise much here. Sorry. Coconut flour absorbs liquid very quickly. It acts like a a sponge. Do not inter change coconut flour for the almond flour as they are very different. Hope this helps. If subbing coconut flour for almond flour use 1/3 as much due to coconut flour absorbing more liquid. Coconut flour can absorb something like 9 times it’s weight in fluid. i have to try these. i love healthy desserts!